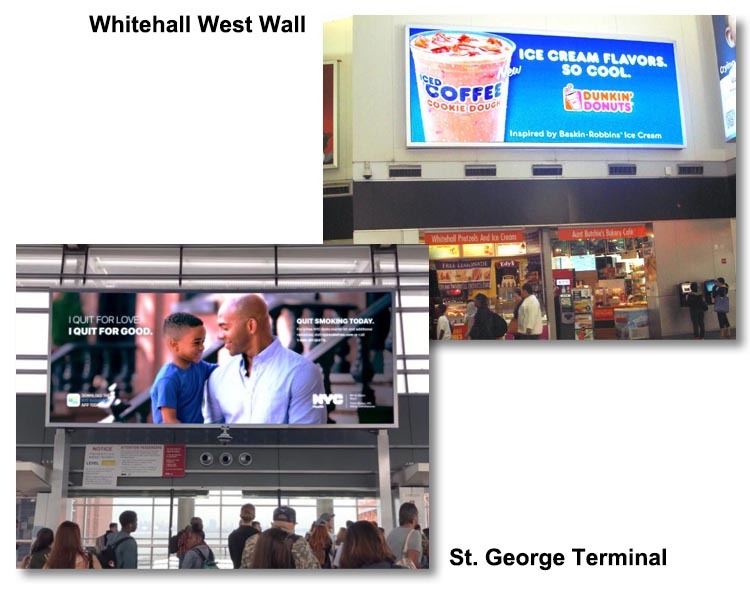 Spectacular 10' X 24' Full-color Dynamic LED Billboards in three Whitehall Terminal locations. Spectacular 11' X 28' LED Billboard at St. George Terminal! Billboard spots available with 9 second run time. Ads repeat all day long.